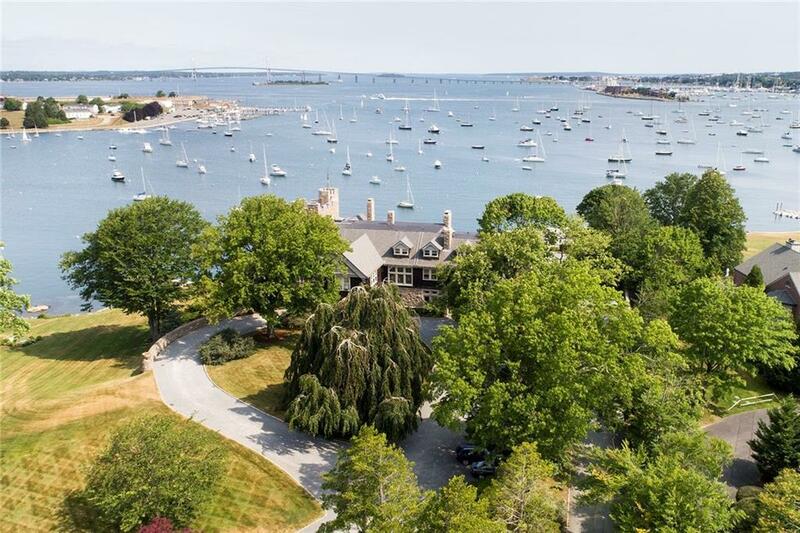 A rare opp to own in Beechbound, designed by the architectural firm of Peabody & Stearns (1895), it is Newport's premier harbor-front condominium estate. 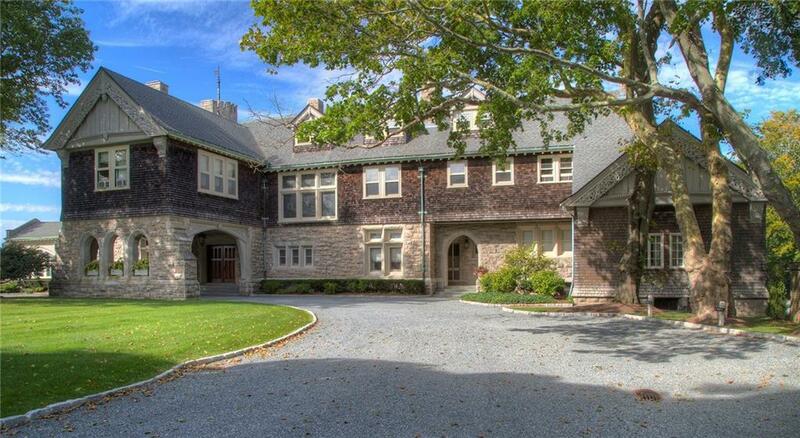 Stately & grand, it's sited on 3.77 acres of Olmsted designed grounds featuring magnificent beech trees and cascading lawns overlooking picture perfect Brenton Cove and Narragansett Bay. Beechbound's impressive mahogany entrance opens onto a sweeping 1,325 sq. ft. stone (shared) loggia overlooking the harbor w/ Sunset views. This lovely 1st flr unit is in the Manor House, which was once the private home of a Gilded Age tycoon, and is now div. into 7 indiv. residences. The unit exudes a calm sophisticated style throughout its spacious living area w/ new central AC, lighting and a fresh paint job. A particularly stunning wood-paneled and coffered-ceiling "Great Room, (once the original home's dining room) also has direct access to the loggia. A sensational high gloss cabinetry eat-in-kitchen leads outside to its own private garden deck. Two large bedrooms en-suite surround the cozy den, and two FPs complete the serene scene. Beechbound Assn. offers residents shared harbor and mooring access from its own private dock via the NYYC and Oldport launches, and use of a new boathouse for storage. 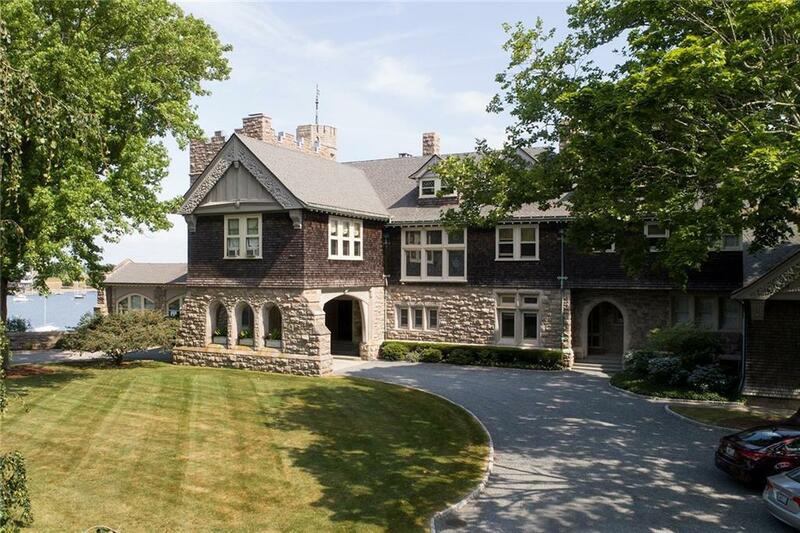 Launch service to town as well as the nearby Ida Lewis and NYYC is easily available from this private gated compound. 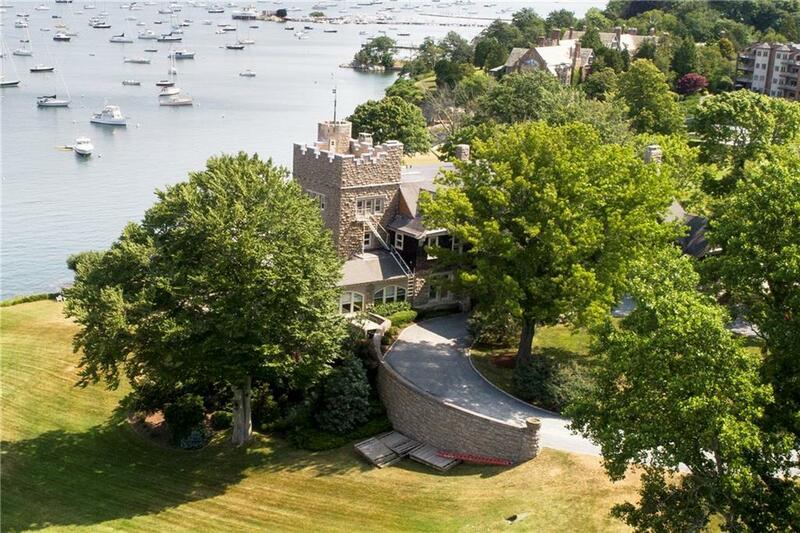 Near Fort Adams and majestic Ocean Drive, Beechbound is ideal as a primary residence, weekend retreat or vacation home.